11/3/18 - McCloud Reservoir made it happen for Sam Alamillo and his boys, beautiful backdrop, fish in the net for fish on BBQ later, can't beat it . Trolling Seps Dodgers with spoons and bait produced steady action, starting early in the morning and lasting into late afternoon. The Trout were on the surface early but when the sun hit the water they dropped down near 30 feet. These small trout are hard fighting fish and eat even better. Many have gorgeous orange meat perfect for the BBQ. McCloud Reservoir is an amazing fishery. It often produces steady action all day and fish numbers often are 20 ,30, 40 or more. 5 Trout per person limits are pretty easy to come by while the majority of the Trout are caught an released. 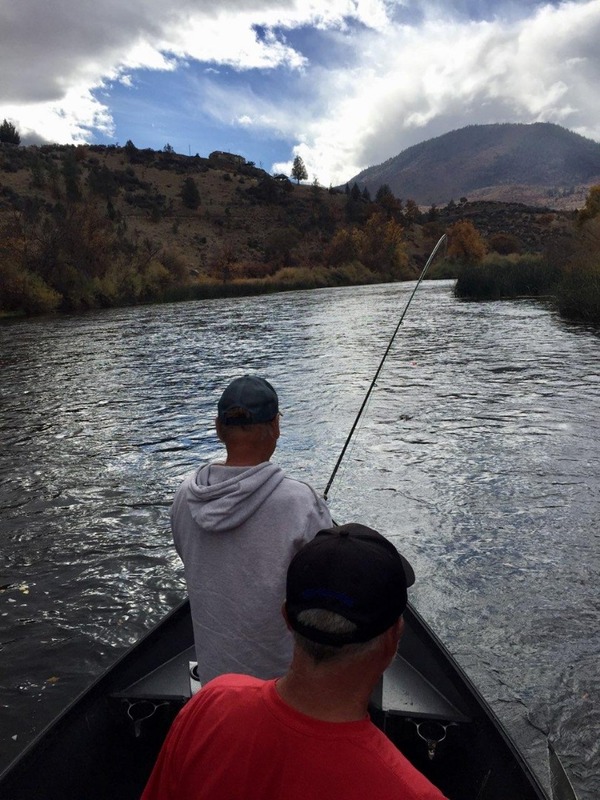 As long as the Winter weather permits McCloud is fish able all winter. Snow can be issue at times but as long as the road is open fishing can happen. I will back on the Klamath this week chasing Winter Steelhead but I have open dates to fish the Lakes or River. The Holiday season has begun and fishing trips gift certificates make great stocking stuffers! !